This meal is the number one favorite meal in my house! I plan out the week by cooking the pork in the crockpot and having tacos. Depending on the number of people in your home, there could be enough pork left over to make fried rice the next day! Turn crockpot/slow cooker on low. Cook time will be about 8 hours. Drizzle olive oil over all sides of pork shoulder. Season all over generously with salt, pepper and oregano. Slice onion and lay over the pork shoulder. Finely chop garlic and sprinkle over top of pork shoulder. Close lid and check back in 5 hours. Break apart with spatula and mix crockpot contents. Close and let cook for another 3 hours or until pork is very tender. 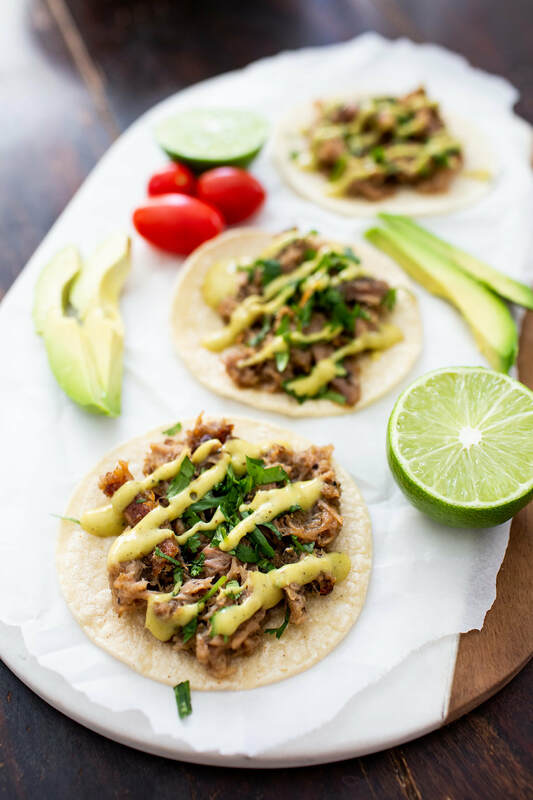 Heat tortillas, add pork and add toppings of your choice!